At Amaranthine, we don’t just aim to give you a better lifestyle, but also make you a better citizen for the environment. 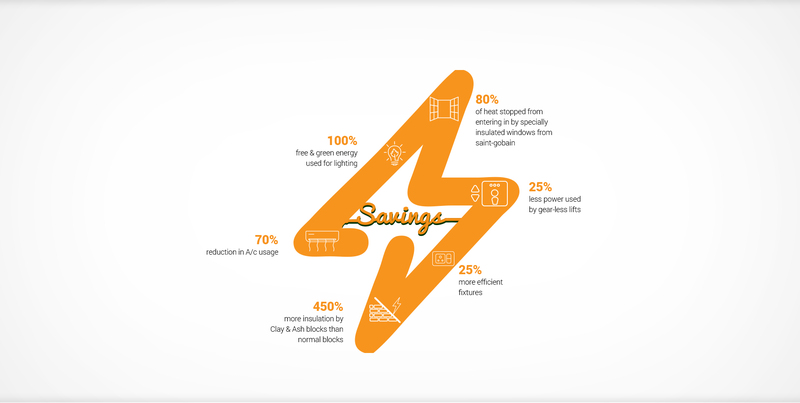 The energy-saving measures we have adopted in Amaranthine helps in minimising the impact on the environment to the best extent possible. The design includes a range of energy saving materials and fittings to efficiently use the energy to provide heating and lighting in the project. By additional measures such as extra insulation, high energy performing windows etc. the savings have been trebled.